The recent adoption of the motion on the expropriation of land without compensation by the National Assembly has served to intensify the already heated debates on the country’s agricultural trajectory and its future thereof. The fierce debate in the National Assembly on that historic day revealed just how complex land and agricultural reform is in South Africa. What is clear from the motion is that the current status quo on land in South Africa is both completely untenable and unsustainable. To ignore these realities is both unwise and altogether dangerous. It is no secret that Government’s land reform programme has not achieved its intended outcomes. The former Minister of Rural Development and Land Reform explained during the land expropriation debate in Parliament that the first group of land reform beneficiaries under the then Land Redistribution for Agricultural Development (LRAD) programme had sold 5% of the redistributed farms back to the white commercial farmers who used to own it. This just highlights one of a number of challenges that have plagued our land reform efforts to date. Even with policy developments seeking to address these issues and to fast track the land reform process like the implementation of the Proactive Land Acquisition Strategy (PLAS); Government’s “use it or lose it” approach adopted in 2008, The 50/50 policy; the Extension of Security of Tenure Amendment Bill; the Regulation of Land Holdings Bill; and the Communal Land Bill amongst others, the pace of land reform in South Africa has been painfully slow. One of the greatest land reform challenges to-date is the under-utilization of agricultural land that was given to communities especially in communal areas. Accurate official information on just how much land has been redistributed since 1994 is difficult to come by, including information on how much of this land is now productive. It is widely acknowledged by sector players including Government that a major part of this unproductivity is due to the lack of capacity and skills of those who have received land as well as a lack of access to finance. This is a barrier that actually serves to reverse agricultural transformation in South Africa. With the motion on land expropriation without compensation now taking centre stage in the land debate, it is now more important than ever to revisit the issue of land reform as a key departure point. The debate around whether or not the State should target private land or State land is less important than addressing the historical injustices brought about by the Land Act of 1913. 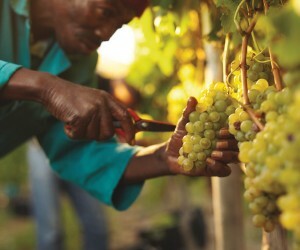 The Constitution and other Government policy documents such as the National Development Plan (NDP) call for the greater inclusion of historically disadvantaged individuals into the agriculture sector, the facilitation of increased access to land as well as a deracialised sector working to achieve redress for past discriminatory policies. Some of the current rhetoric in this debate present the arguments as a sort of zero-sum game – you are either entirely in favour or entirely against the expropriation without compensation proposal. There is no middle ground. With the complexities associated with land in general however, a deeper approach to both understanding and application is going to be essential as we move forward. It is entirely rational to support all efforts to advance an effective land reform programme that will achieve transformation in tandem with increased agricultural production, secure tenure, employment creation and food security. Given the skewed nature of land ownership in South Africa, it is also entirely rational to understand the strong calls for redress, especially in the face of deepening inequality and poverty which still persist very much along racial lines. Both Government and the ruling party have continued to reiterate their commitment to implementing this option in a way in which potential risks and concerns are appropriately reduced. However this option materialises, it is important that the approach taken shields the economy from undesirable negative impacts and serves to strengthen agricultural production, property values, employment creation and food security. As policy makers move to operationalise proposals on the expropriation of land without compensation, it is critical that they comprehend and navigate the complexities and intricacies that underpin land reform in South Africa. The often competing and conflicting demands for land require a careful balancing act from a policy perspective. The phenomenon of in-migration continues to pose a serious challenge to the country’s land reform and urbanisation processes, particularly with the increasing demand for residential land in urban centres. Local municipalities are faced with these challenges every day and Human Settlements programmes are compromised in the process. The state ought to be in a better position to mitigate these often conflicting and competing demands for land. 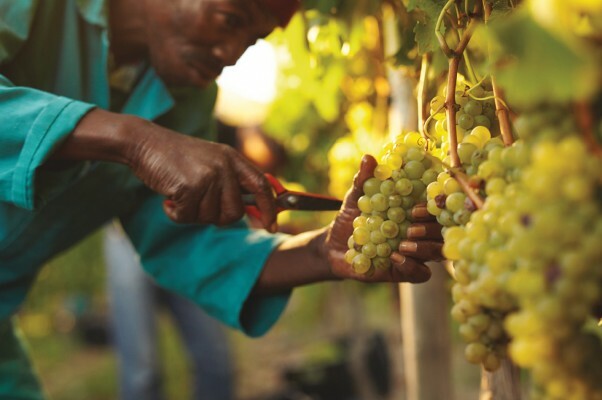 The challenge of access to finance that is facing Black farmers and producers is one complexity that government has not be able to fully comprehend since the dawn of democracy. A new land reform policy will have to reconfigure integrated agricultural development finance. Of critical importance will be the post-settlement support that will be given to the beneficiaries of land reform. The reconfiguration of agricultural finance should include among other things, mobilisation of the entire financial sector and state resources in support of land reform in its entirety. There are currently various instruments and approaches available to advance land reform, and that the recent developments regarding expropriation without compensation affords an additional option in a range of existing alternatives. The Constitutional Review process initiated by Parliament will provide an opportunity for wide-ranging public consultations on the matter from a range of stakeholders. There are already a number of options that have been bandied about for policy makers to consider. These include a reconsideration of the “use-it-or-lose-it” principle for the millions of hectares of land lying fallow in communal areas as well as to land belonging to absentee property owners. There are also calls for the introduction of a land cap of 12 000 hectares or two farms as proposed in the Regulation of Land Holdings Bill, enabling the state to then expropriate surplus land. Another option is the expropriation of land that is used for criminal purposes like the manufacturing of drugs. The conditions under which expropriation without compensation can practically work will no doubt bring about many more options for legislators and regulators to consider. Meaningful participation and contribution into this process, especially the sharing of experiences and expertise, is critically important. With an already stated commitment at minimising disruption to the sector, cool heads are going to be needed if we are going to jointly build a land reform programme that ramps up transformation and development in a meaningful way and contributes to the sustainable growth of the sector. Zamikhaya Maseti is a Senior Specialist for Public and Sector Policy at Land Bank.